Summer 2019 SAT/ACT Math/English crash course (July 8th-July 18th). This group of SAT professionals will be ready to ace the test, will YOU ? ◦ Congratulations to Daniel Mazover on being accepted to Cornell University! Hard work pays off!!! ◦ Congratulations to our student of many years Ani Tcharbajian on being accepted to Harvard University!!! Hard work pays off! ◦ Congratulations to Max Chmigelski and Tim Kuzmenkov for getting 790 score out of 800 on SAT math section!!! Studying and working at AMA - road to success! ◦ Congratulations to Mark Boutros, Ashwini Balakrisnan, Maya Slobodenyuk, Sam Ostrovsky, Teva Alon, Alan Salnikov, Sasha Callaway, Michael Shinkar, Neeka Bahrampour, Yuto Nakajima and Josh Lerman for producing a high score on competitive BCA test and being invited to interview!!! Well done!!! ◦ Congratulations to our student Ari for taking a first place at WWPMT Math tournament and being 10th for his first BCA math Olympiad! Great job! 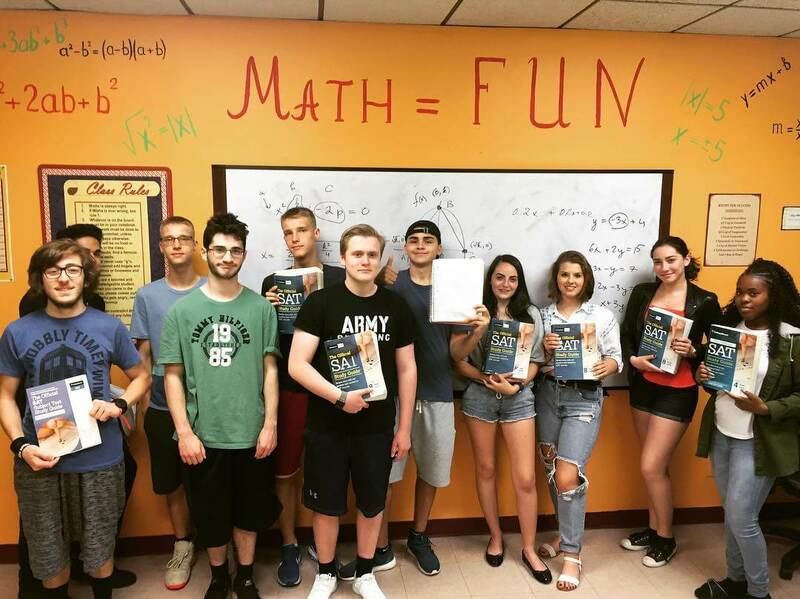 We are offering two weeks’ in July 8-18 ($520) for summer Boot-camp MATH/ENGLISH seminars that arms students with go-to strategies for every questions they're guaranteed to face on the new SAT/ACT tests and Bergen Academies admission test. Enrichment Math and English programs for all grades and levels. Full range of student academic performance with connection to high achieving common core state standards. We providing personal assessment for test required skills, such as critical thinking and ability to problem solve. Measure the full range of college and career-ready knowledge and skills. Most of our students consistently earned highest scores on PARCC, CTP-4, ISEE, PSAT, SAT, ACT, Bergen Academies and other placement tests. Nearly all of our students are accepted into Honors or Advanced placement math classes in Middle School and High School.